If a little of what you fancy really does do you good, then this is just the gift to send. 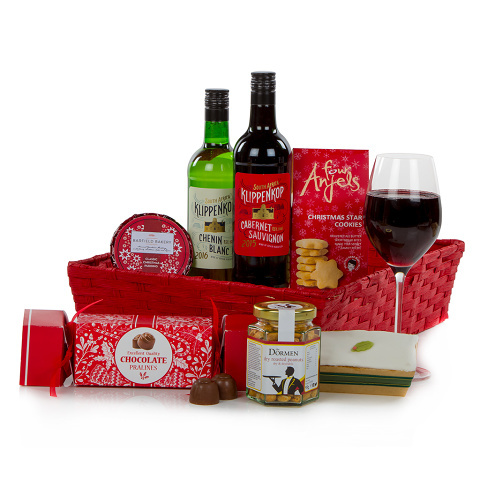 This attractive red basket is generously filled with festive delights. Half bottles of celebratory red and white wines accompany Christmas star cookies, a classic pudding, Christmas iced bar, chocolate pralines and dry roasted peanuts.